Back when I was writing my coconut e-book, I had fun playing around with coconut butter as a gluten-free flour replacement. Recently I decided to revisit coconut butter to make a new recipe: chocolate coconut butter cookies! I’m not currently eating eggs so this recipe is egg-free as well as naturally gluten-free and grain-free. These cookies are soft, moist, mildly sweet, and have an almost cake-like texture. They’re a big hit in my house. I hope you enjoy them, too! I use psyllium husks to make these cookies egg-free. I like psyllium husks because they’re a great binder and, unlike chia seeds or flax seeds, don’t require me to grind anything. (No grinding = less dishes to do.) This recipe would probably work with chia or flax, but I haven’t tried it so I can’t be sure. If you can eat eggs, you could also probably substitute an egg, but I also haven’t tried that substitution so am not sure how it would work. This recipe looks fiddly, but it’s really not. I just wanted to include all of the extra little tips that I’ve learned after making these cookies several times over the last few weeks. You can certainly skip the chilling time if you want, just know that your dough will be a little bit harder to work with. I usually make a double batch of these cookies, so we have enough to last for a few days. While you're making the coconut butter, add the psyllium husks to three tablespoons of water. Allow them to sit undisturbed for a few minutes. The psyllium will absorb the water and become a solid mass. Add the two tablespoons of boiling water to the prunes. This will help soften them up a bit before you blend them into the cookies. Once your coconut butter is done, add the psyllium, cocoa powder, soaked prunes (including the water), honey, vanilla, baking soda, and salt to your food processor. Mix until the prunes have been pulverized and all other ingredients have been thoroughly mixed. Put dough in the fridge to chill. The prunes make this dough extremely sticky, so chilling it for a while makes the dough easier to work with. You want the dough to feel firm to the touch but still be flexible enough to work with. This took about 45 minutes in my fridge, but may take longer or shorter depending on how warm your dough was going in. If you chill your dough too much, no worries; just let it sit on the counter until it warms up enough to be easily manipulated. Preheat your oven to 350 degrees, and line a baking sheet with parchment paper. Roll dough into twelve balls, each about 1 1/2 inches across. Lay the balls of dough on your baking sheet then gently flatten each with your palm, until they're about 1/2 inches thick. Bake at 350 degrees for about 15 to 17 minutes, until the bottoms of the cookies are lightly browned and the tops mostly spring back when you gently press on them. 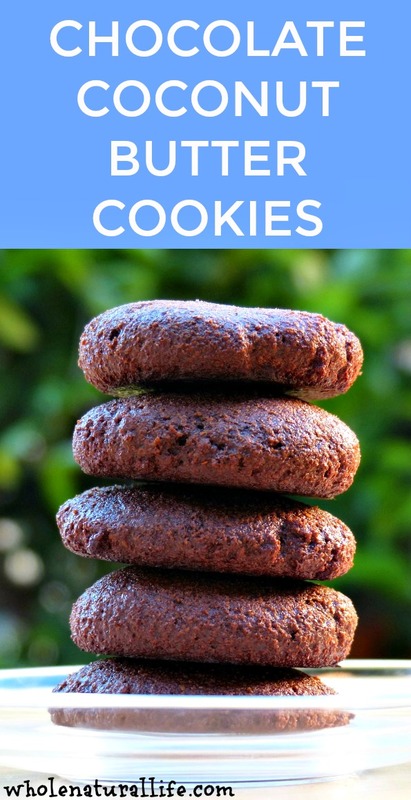 Your cookies will probably be a lighter color than those in the picture above. For some reason, these cookies darken in color somewhat after they've been sitting for several hours. Store leftover cookies at room temperature, or in the fridge for longer-term storage. I haven't tried freezing them, but I suspect that they would do well there, too. These look/sound so good. Have you tried making them with dates instead of prunes? Hi Heather, No, I haven't tried using dates instead of prunes. If you try it, let us know how it works out! My (uneducated) guess would be that you'll need to adjust some other ingredients, too, as I think dates are probably sweeter than prunes.